Cynthia Banks is the retired Founder/CEO of GlobaLinks Learning Abroad, a global education abroad organization which has helped more than 30,000 students study and intern abroad. She is now on the faculty at the University of Colorado – Boulder Leed’s Business School and serves as President of the Foundation for Global Scholars, a non-profit supporting globally minded young adults with scholarships and other resources. Her consulting practice, New World Vistas, designs business and leadership strategies with an emphasis on supporting women leaders. Banks has served as a member of NAFSA’s Board of Directors, is a current trainer for the NAFSA Management Development Program and has held four other significant leadership roles with the Association. She holds a BS in Business and an MS in Organizational Management. She serves on several advisory boards including Diversity Abroad and Terra Dotta Software and is a member of the CU Women’s Council and The International Women's Forum. Honors include 2009 Small Business of the Year by Colorado Women’s Chamber and the 2013 Top Three Minority/Women Owned Business by the Denver Metro Chamber of Commerce. Stacy McKay Benander is the President and Founder of Athena Study Abroad. Prior to her current role at Athena, Stacy has served in a diverse range of areas in the field of international education including her work as the Director of the International Office at Ohio Dominican University, as an International Student and Scholar Advisor at The Ohio State University, and as a Legal Assistant at an immigration law firm. She was awarded NAFSA Region VI's esteemed Leo Dowling Award of Excellence for demonstrating and possessing the qualities of compassion, integrity, and leadership in the field of international education. She currently serves on NAFSA's Trainer Corps, and has served the organization as the Local Arrangements Chair for the Region VI conference in Columbus. In addition to NAFSA, she is an active member of the Forum on Education Abroad, as well as the Pennsylvania Council on International Education (PACIE). Stacy was named to Columbus, Ohio's 2010 "Forty Under 40" list of top business people under the age of 40 by Columbus Business First. She earned her M.A. degree in Social and Cultural Foundations (Cultural Studies in Education) from The Ohio State University, and her B.A. as a double-major in Spanish and Communications/Public Relations from John Carroll University in Cleveland, Ohio. In addition to her undergraduate study abroad experience in Toledo, Spain, she has also participated in intensive Spanish language study in Seville, Spain and Bogotá, Colombia. Cori Filson has been active in the field of study abroad for over 20 years. She is currently the Director of Off-Campus Study at Skidmore College, has served on many national boards, and regularly presents and publishes on current topics in the field. Cori has won several professional awards recognizing her achievements and commitment to the field, including the Lily von Klemperer awarded by NAFSA. Cori is deeply involved with issues of access and inclusion on a campus, national and international level. She currently holds the position of Director of Membership with the Global Leadership League and is dedicated to the mission of furthering women’s leadership in international education. Cori holds a BA in Spanish and German from St. Lawrence University and an MA in Hispanic Literature from The University of Texas at Austin; she studied abroad for a year and a half as an undergraduate, in Spain and Austria, and has served as an instructor and resident director in Spain. Dawn Hewitt is based in Melbourne, Australia and is the Senior Advisor for Australia and New Zealand at ISEP Study Abroad. She is responsible for providing leadership and strategic direction of ISEP’s engagement in the region including relationships with institutions, government and peak industry bodies. Previous to this, Dawn held positions as Assistant Director International Relations at RMIT University, Manager Education Abroad at La Trobe University, and Manager Outbound Programs at Macquarie University. Dawn has a B.A. from The Pennsylvania State University and an M.A. in International Communications from Macquarie University, Sydney, Australia. Dawn has been working in international education for 20​ years. Throughout her career, she has made a contribution to the intellectual discourse on the internationalization of higher education through research, publications and presentations at major conferences and forums. Dawn was the national Chair and joint founder of the International Education Association of Australia (IEAA)’s Student Mobility SIG from 2009 to 2013. Kelly Holland serves as the Institutional Relations Manager for international internship provider Global Experiences based in Annapolis, Maryland. A Pennsylvania native, Kelly first left the U.S. at age 20 to spend a semester in Granada, Spain and returned several years later to teach English for the Spanish Ministry of Education in Seville. Kelly holds an M.Ed. in Comparative and International Education from Lehigh University, and a B.A. in International Business and Spanish from Moravian College. Kelly has worked in higher education since 2007 and international education since 2010 at institutions including Towson University, Eastern Illinois University, and Lehigh University. Kelly also serves NAFSA Region VIII as the Education Abroad Liaison and is pleased to lead the regional mentoring program. Her travels have taken her to 25 countries and counting and in her downtime she can be found reading, cooking, or baking. Kris Holloway serves as the President of CISabroad, a leading education abroad organization whose vision is to create a more compassionate and connected world, one student at a time. Kris is the author of the award-winning travel narrative, Monique and the Mango Rains: Two Years with a Midwife in Mali, based on her experience as a Peace Corps Volunteer in Mali, West Africa. She is a frequent lecturer on the topics of international human rights, and women’s studies in a West African context. She is the mom of two sons who have studied and volunteered abroad in Norway, Portugal, Nepal, Mexico, Ecuador, Spain, Thailand, and Costa Rica. Kris holds a MPH from the University of Michigan despite being a native Ohioan. Other stats: Confirmed Francophile. Slow, devoted runner and biker. Lover of camping, playing board games, and chocolate, preferably together. She lives in Northampton, MA with her husband and their giant black poodle. Martha Johnson is the Assistant Dean for Learning Abroad at the University of Minnesota and oversees one of the largest education abroad offices in the US, currently sending over 4000 students abroad annually. She has worked in international education since 1991 for organizations and institutions in the US, Ireland, and the United Kingdom. Her experience includes on-site program management, teaching of short-term programs, program development and marketing, and management of a large university education abroad office. Martha has presented on numerous sessions and workshops at national and international conferences, consults with universities internationally, served in a variety of leadership positions in NAFSA and the Forum on Education Abroad, and authored many articles and publication chapters on topics relating to international education. Chelsea Kindred is Director of Alumni Development and Research at Academic Programs International (API), an international education organization based in Austin, Texas. Chelsea manages API’s Alumni Development Programs and Research projects, where her responsibilities include drafting curriculum, facilitating training, managing and providing professional contextualization of the international experience for participants. Chelsea has presented at national and regional levels on many topics, including alumni development, diversity and inclusion, social media/technology, and orientation strategies. Chelsea earned a BA from the University of Texas at Austin and an MFA from Chatham University. Chelsea wrote the “Re-Entry: Advising Strategies and Programming” chapter in NAFSA’s Guide to Education Abroad: 4th Edition and was lead trainer for the inaugural Current Topic Workshop: Current Trends in Education Abroad Alumni Programming. Chelsea holds volunteer leadership roles with NAFSA: Association of International Educators, Lessons From Abroad and the Global Leadership League. Kim McGrath is an international specialist with more than fifteen years of experience from a broad range of institutions, including ten years of progressive positions in international education. Her previous roles encompass elementary and higher education, journalism, bilingual and overseas work in teaching, training, student services, marketing and community outreach. Kim holds a B.A. in journalism from Truman State University, a M.A. in international relations from Webster University; and, is pursuing her education doctorate at Webster. In her current role as Director of the Webster International Network of Schools (WINS) program, Kim spearheads initiatives for WINS affiliate students and organizations worldwide, fostering relationships among participating institutions; and, she regularly presents on global learning and women’s leadership. She has served as adjunct faculty and was a Global Leadership Academy fellow at Webster in 2013-2014. Natalie A. Mello is The Forum on Education Abroad’s Vice President for Member Services & Training. She oversees a range of initiatives to train members in the Standards of Good Practice through her development of The Forum’s Professional Certification Program, the Critical Incident Database, Standards Institutes, and other programs. Natalie joined The Forum in 2011 after serving 18 years as Director of Global Operations in the Interdisciplinary and Global Studies Division at Worcester Polytechnic Institute (WPI). While still at WPI, Natalie was honored to receive NAFSA’s Lily von Klemperer Award and Region XI’s Sally M. Heym Award in 2010. She has been a leader in the field and is widely recognized as developing a model for responsible risk management for off-campus experiences. Natalie has published and presented in the areas of engineering education, education abroad and educational outcomes assessment at the national level. Sarah E. Spencer began her work in international education in 1993 and is currently Director, Office of Study Abroad at the University of St. Thomas. She holds a B.A. from St. Olaf College and an M.A. in English from St. Thomas and studied at Harris Manchester College, Oxford, UK. She is co-editor of the first and second editions of NAFSA's The Guide to Successful Short-term Programs Abroad. Sarah is active in the field’s professionalization efforts, including many workshops and conference sessions focused on human resources and women’s leadership. She served two terms and vice-chair of the Forum on Education Abroad Council, and is a member of CIEE’s Academic Consortium Board. Malaika Marable Serrano, Associate Vice President, Strategic Partnerships, International Studies Abroad (ISA) Malaika joined ISA in 2017 and has been actively engaged in international education for nearly twenty years. Significant international experiences include studying abroad in Australia and Brazil, serving as a faculty program director for a service-learning course to the Dominican Republic, and teaching Global Leadership in Bogotá, Colombia. Previously, Malaika served as Executive Director for Academic and Field Programs with Semester at Sea, Associate Director for Global Communities at the University of Maryland, Outreach and Alumni Officer for the U.S. Department of State's Critical Language Program, Associate Director for Education Abroad and International Enrollment Management at NAFSA, and Study Abroad Coordinator at the University of Tennessee. She received a B.A. in Sociology from the University of Southern California and a M.A. in College Student Personnel from the University of Maryland. Malaika is passionate about increasing access to international education and believes inclusive leadership is mission-critical to achieving this goal. 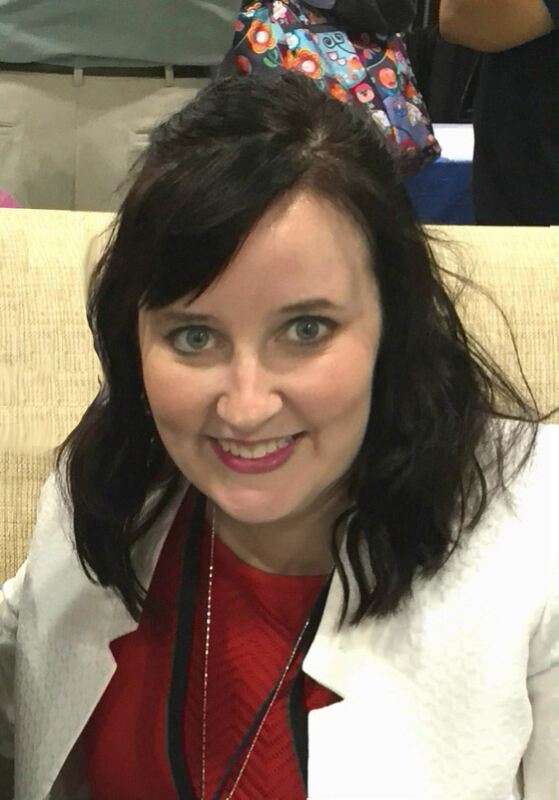 Melissa Mace serves in the capacity of Assistant Vice President of Enrollment, International Admissions at Maryville University of St. Louis in Missouri. She brings nearly 25 years of combined experience in non-profit, academic service-learning and community based-research, and international student services and admissions. Melissa serves on several academic committees including the academic leadership team, graduate school council, and the disability services. She serves on the advisory group for Hotcourses, has co-presented at NAFSA regional conferences, a poster session at the national NAFSA conference, and online webinars. In addition to her work at Maryville University, she dabbles in consulting on international enrollment management and comprehensive internationalization. She has traveled extensively, holds a bachelor’s degree in organizational communications, a master’s in student affairs in higher education, and is a doctoral candidate in higher education and leadership. Her dissertation topic focuses on comprehensive internationalization leadership. Melissa has one daughter, Rachel, who is studying Social Work at the university level. And, Melissa home hosts Susana, an international student from Ghana. 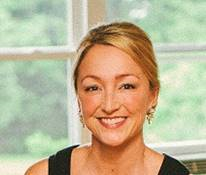 Dana Tottenham is Associate Director of Global Internships at Emory University. Her role entails connecting liberal arts majors with innovative online coursework and industry sector exploration. She also manages oversight of Terra Dotta and connected technology systems. Her professional areas of interest include intersections of applied anthropology, education, and study abroad. She studied abroad in England and Spain, traveled to Taiwan with her in-laws, and connected with the Tibetan community in India. She has worked as an international educator for over 18 years in capacities ranging from program development, project management, business analysis, technology implementation, administration, and advising. She earned an M.A. in Anthropology (Georgia State University) and a B.A. in English/Spanish (Emory University). She lives in Decatur, Georgia with her husband and two sons, is an engaged volunteer in her community, and loves to swim, run, and eat Tex-Mex (when she’s not dodging Nerf darts and stepping on Legos).